Hi, folks! Thanks for bearing with us through our conclusions, and sticking around to hear our reviews pertaining to the literary quality of some great graphic novels. To round off our more serious discussion of what we would call the necessity of incorporating this medium into the curriculum of schools nationwide, I thought I’d indulge everyone in something a little more frivolous: our favorite pop culture, fellow comic book nerds! Enjoy. 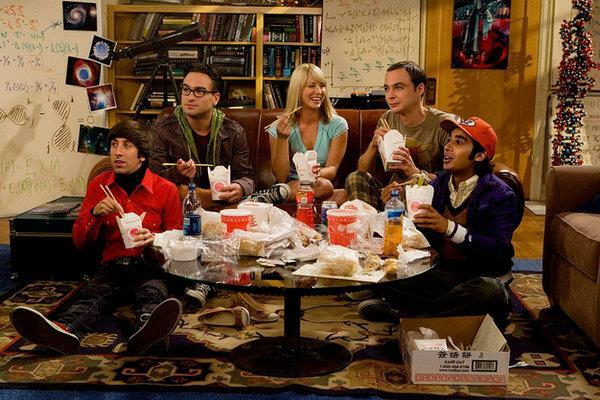 Sheldon, Leonard, Howard, and Raj of The Big Bang Theory. They may have their doctorates in Physics and other impossible subjects, but their near-genius status doesn’t prevent them from knowing the merits of a great comic. 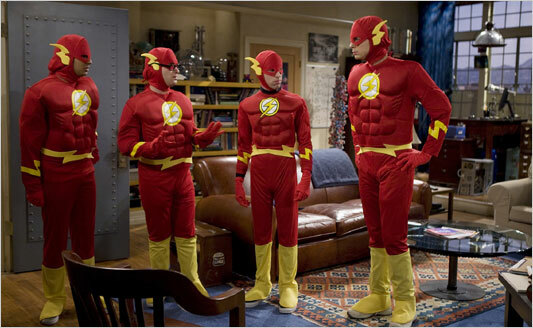 Obviously all four are particularly partial to the super sonic reflexes of The Flash. 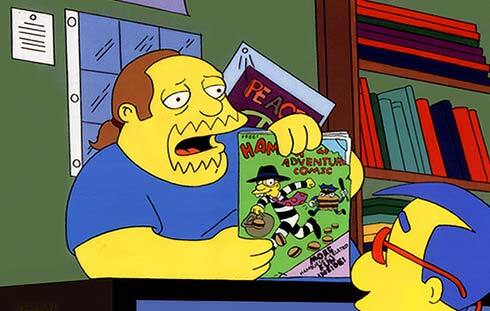 Supposedly based on every comic book guy in America, we love The Simpsons’ Comic Book Guy for his wit and quips. Drop on by his shop to pick up the latest and greatest in the world of comics. That’s all for now, you readers out there in the blogosphere. Hope everyone is having a smooth ending to the school year and lovely transition into a sweet, sunny summer. ‘Til next time! I entered into this project with an already deep affection for the graphic novel (and comic book) medium. I love the ways in which images and words are allowed to intermingle and build upon each other. I have for a long time now, been aware of their literary value. Art is something that can engender an emotion, and mine have been riled up by this medium more than once. I felt a deeper connection to Yorick’s pet monkey Ampersand in Y: The Last Man than I did for my grandmother’s cat Ricky. Because of this, I had thought that my potential for learning from this project may be stunted. 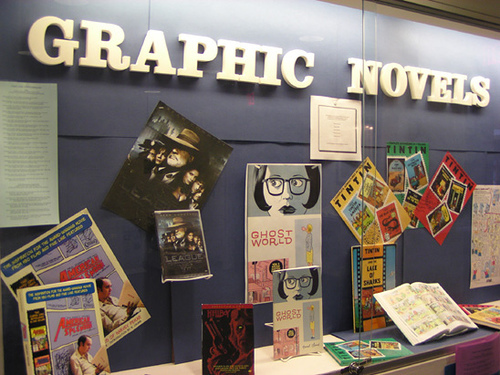 However, my learning did come – not from doing this project, but simply from having an assignment about graphic novels. I engaged in conversations with my peers about what work I had to do instead of hang out with them. I was surprised to find that not everyone is on board with the literary merit of my beloved graphic novels. What I have learned is that the stigma of their lesser value runs deeper than I have previously thought. Because of this, I feel more strongly that graphic novels ought to be taught in schools. Through this, people will have available to them a whole new slew of literature which can help them to further make sense of experience, emotion, and more. I have also observed from these conversations that many people avoid graphic novels because “they are harder to read.” No longer do we simply guide our eyes from left to right, from left to right, and so on until the end. 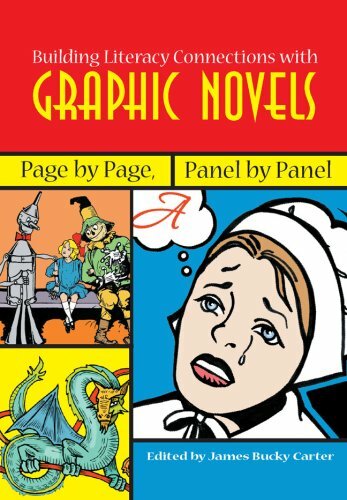 The panel layout of graphic novels does not adhere to any one standard, thus requiring one to pay closer attention to the story. I say this because in a good graphical novel of literary worth, the layout is organic to the story, in harmony with it. As such, attention to the story guides the eye. Through introducing many of my friends over the years to graphic novels, I have found that they at first express frustration with the panels, but in time come to read anything that I hand them without an issue, despite how differently they have been arranged. I never thought I could go to check out a graphic novel tell the (smirking) librarian, “no I really am reading this for a project,” but it has happened. After perusing the comic book collections of friends and eBay, standing for hours in front of the piles of graphic novels at the book store, and shuffling through the teen area of the library; I feel I have exposed myself to a wide swath of the comic book / graphic novel genre. Am I a graphic novel expert? By no means, but I have a deeper appreciation for the literary and artistic merit this medium offers. After looking closely at the way in which artists depict each scene, usually in relatively high detail, I appreciate the interplay of art and how it supports the narrative structure. This is much more than a picture book and often borders on film. The characters each have well-developed personalities and even postures and gestures that come across only vaguely in a non-graphic novel. The stories are just as well-developed as a standard book, many dealing with issues that are faced by their intended audience. For example, Black Hole deals with sexual promiscuity, STDs, love and relationship issues and Brody’s Ghost works with teen cancer and death as well as relationships and self-discovery. These are viable tools for young adults to connect with and see their own problems fleshed out in very concrete characters. I have found, however beautiful some of the modern artwork can be, that I am partial to the Classics Illustrated‘s recreations of classic literature. Maybe it’s the English major in me, or maybe it’s simply that they have the most readily available use in the classroom. Either way, I enjoyed revisiting old favorites in the form of shortened, illustrated books. These books could serve as bridges to the longer, more difficult to understand novels. Teachers could easily bring them into the classroom to introduce students to them for free reading time or to help work through dense dialogue to reach the plot. The CI books are far from perfect depictions, but could be an adaptable tool that is unique and interesting to students. 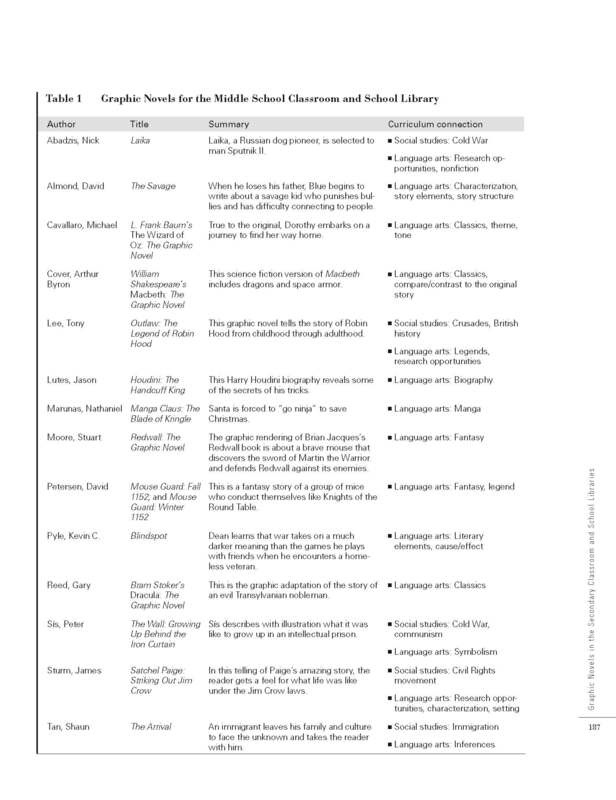 Within the classroom context, whether using an old Classics Illustrated or a more modern graphic novel, there are numerous ways in which it can be incorporated into the learning environment. A teacher could use them to discuss: characterization, plot development, dialogue, setting, historical period, issues faced by characters, and the list goes on. I think this is a vastly untapped resource that could pull “non-readers” into the discussion as well as open a new medium for already established readers. 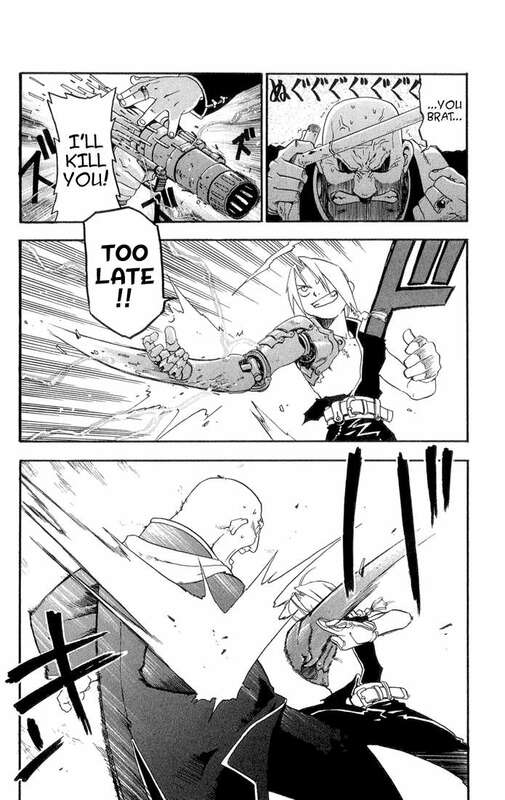 This picture, and the others in this post, come from the popular manga Full Metal Alchemist, starring the young man with the metal arm, Edward Elric. The series is widely acclaimed for dealing with issues about the line between science and religion, the value of faith and life, as well as the moral implications of scientific experimentation. In Edward’s world, “alchemy” is the science, an art which allows the manipulation of elemental material in seemingly supernatural ways. How can you explain what’s depicted in these panels? How many words would it take? 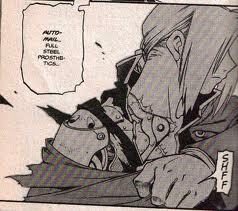 Would describing Edward Elric’s mechanical prosthetic really be as effective as seeing him transmute it into a blade? Well, after several reviews, some historical research, and a thousand comic panels, I think our brief foray into graphic novels is coming to a close. Elizabeth has provided unparalleled academic context and ground-breaking research into the educational merits of graphic novels. John contributed his own erudite and rare perspective, a unique and necessary one for understanding the reader-response portion of our inquiry. Darlene gave us insightful and moving commentary and voracious curiosity toward a normally passed over genre. And I hope I facilitated understanding of the more semantic, syntactic, and prosodic methods used in these graphic novels, as I attempted to give the novels the structural attention their unique medium deserves. As for my conclusions about graphic novels, they are legion. Through my research, I have come to the conclusion that graphic novels have a history as long and colorful as the modern novel, film, or artistic movement. Through my reviews, I have discovered that graphic novels convey all of the same information as prose, but by a different method. Prose utilizes the varied, deep, and rich vocabulary at our disposal as writers to convey meaning, narrative, theme, and character purely linguistically. Graphic novels are a shift in that paradigm, relying on illustrations to mimic the massive amount of non-verbal communication we take for granted every day. In a novel, the facial expression of a character may be described holistically (“A look of terror passed across her face.”), comparatively (“He looked more excited than he felt.”) or even literally (“Her left eyebrow and lip both kinked in the corner, belying the bemused disbelief she felt”). However, none of those sentences will tell a reader the same nuanced information as a detailed illustration of a person feeling those same emotions. We have been hardwired to read other people in this manner, a manner that graphic novels take advantage of to tell stories with just as much literary merit as Melville and Tolstoy. They say a picture is worth a thousand words, and in this case so is a panel. Graphic novels have the unique opportunity to take advantage of our natural proficiency in nonverbal communication (intentional or not) to give readers the same important information Dickens spent hundreds of pages of text on. This is a fantastic way to depict actions, emotions, and characters in ways that would take pages of text to accomplish. 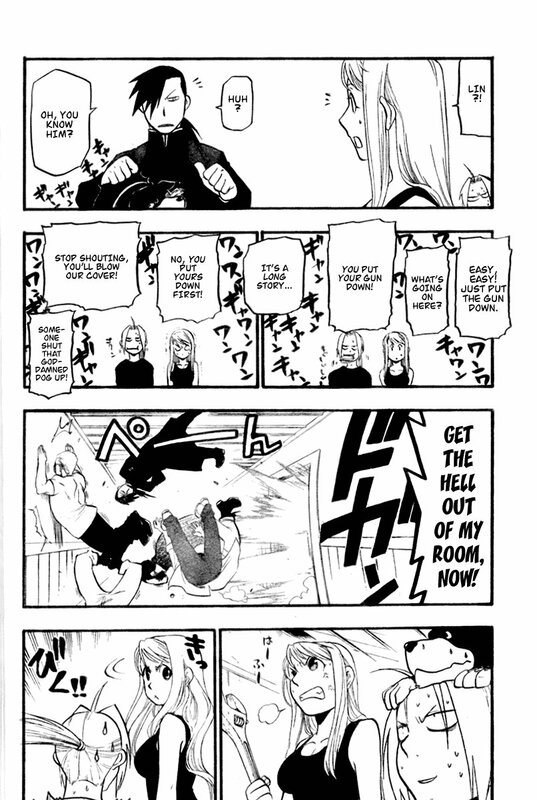 The hubbub in the second row of panels is a fantastic visual way to depict the commotion in the room, and Edward Elric’s sweating face in the last panel characterizes his amazement, confusion, and frustration better than a page of dialogue. Some may warn that the overthrow of classic literature is nigh, and the next generations will be raised nearly illiterate if all of their reading happens a sentence (or fragment) at a time: I am inclined to agree. Too much research has shown the links between rampant reading and intelligence, academic success (even in unrelated areas) and all around life improvement to allow prose to quietly die. I foresee an eventual merging of the genres; a hybrid graphic novel, which combines the inherent narrative ability of comic frames with the beauty and power of language. I’m imagining author-illustrators using comics as illustrations alongside a page of text, to clarify and intensify the action described there. Maus: A Survivor’s Tale is the author’s memoir of listening to his father – Vladek Spiegelman – talk about his experiences before and during the second world war as a Polish Jew. The book switches back and forth from describing Vladek’s past experiences and his/his son’s present day life. Due to some of Spiegelman’s artistic choices that I will explain a little later under the style section, the readers of this graphic novel discern character from only a few aspects. First among these is the dialogue. Spiegelman makes terrific use of vernacular language to flesh out his characters. Also, he uses very simplistic drawing methods to illuminate expression and emotion. Maus: A Survivor’s Tale is the author’s memoir of listening to his father – Vladek Spiegelman – talk about his experiences before and during the second world war as a Polish Jew. The book switches back and forth from describing Vladek’s past experiences and his/his son’s present day life. The change in focus oftentimes reflects instances where the past has helped to influence the present. The story is set in Manhattan, New York in the 1980s as well as eastern Europe of the 1940s. The black and white art style is kept for both locales, but the change in setting is very noticable, and one will not become confused about where the characters are in time or space. The art in this graphic novel is black and white, and well done. While reading it, I didn’t experience any of the confusion that is common to that medium. 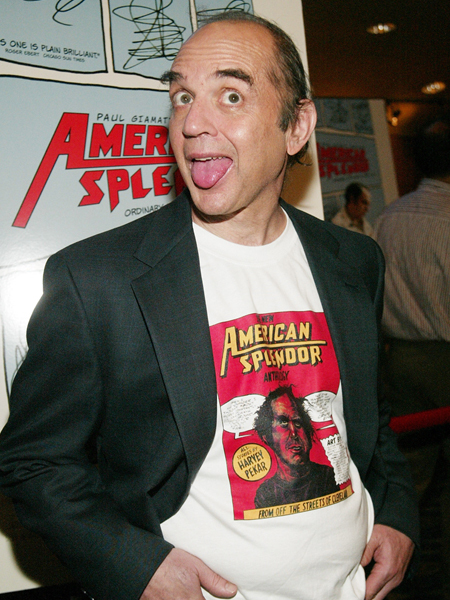 More interestingly, Spiegelman decided to draw people according to their nationality – German people are cats, Jewish people are mice, French people are frogs, and Polish people are pigs. In each panel, it is nearly impossible to tell one person from another (it is though, characters often address each other by name, and some wear the same clothes throughout the piece). This way of depicting people at first seemed rather offensive, but as I read on, I started to pick up the notion that it was calling attention to the absurdity of looking at a person and seeing only a nationality. 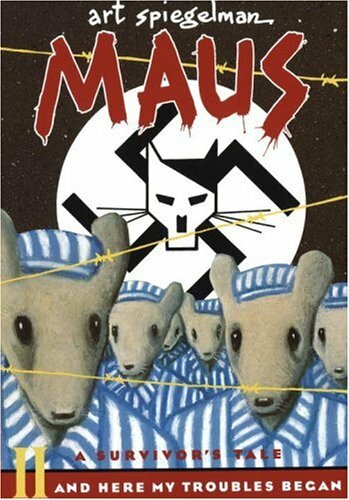 Spiegelman’s Maus: A Survivor’s Tale has a few major themes running throughout it. The most apparent of these is the absurdity of racial, national, religious, and so on, barriers that keep people from one another. But, that has been explain a bit above already. Another of the major themes within this work is the potency of the past, and learning to make sense of experiences unhad that have shaped a person. The main character could arguably be Arthur, Vladek’s son, who is in the graphic novel trying to come to terms with his father’s formative past, and the repercussions that it held. This becomes especially illuminated while Arthur is reflecting on the existence of his older brother Riechu, who died before Arthur was born. The mourning expressed by his father and mother led Arthur to deep feelings of sibling rivalry throughout his life. 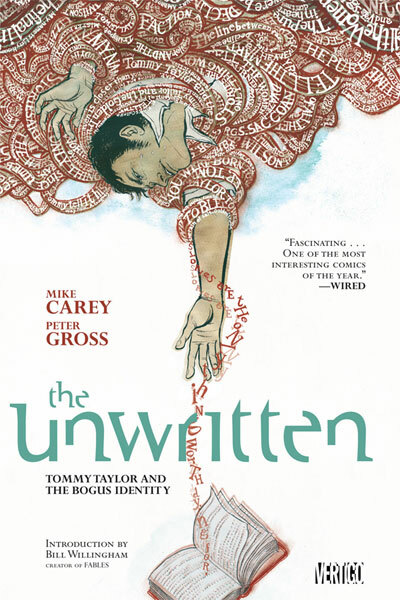 Yet, through the graphic novel, he comes to terms with this through gaining a better understanding of the past. The point of view in this story is third person omniscient. However, it is told as the narrative of a Holocaust survivors son. Within that narrative is framed his father’s story of surviving the holocaust. The stories overlap very organically, showing how one event or situation in the past has helped to shape the present.